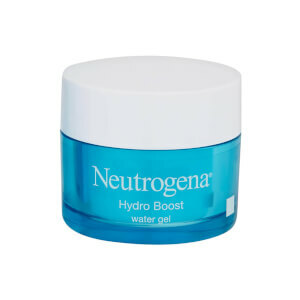 NEUTROGENA® Hydro Boost® Water Gel Cleanser is an innovative cleanser that activates with water to remove impurities whilst providing skin with an essential boost of hydration. 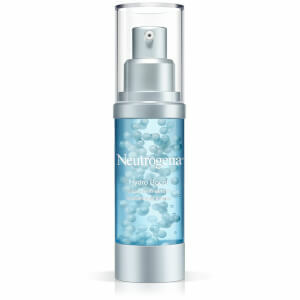 The combination of NEUTROGENA® cleansing technology, hydrating agent and Hyaluronic acid which is naturally found in skin, enable the formula to protect the skin barrier, boost hydration and help lock it in. The skin is refreshingly clean and touchably supple every time you cleanse. OMG I'm addicted to the whole range. This cleanser is so silky smooth and is a pleasure to use. My face is so clean afterwards and feels so plump/hydrated. I follow with the serum and water gel. No more tight skin and it's actually controlling my oily t zone somehow?!! Magic. I was really looking forward to using this, especially as I love the water gel moisturiser. The first night I used it, it lathered nicely and had a pleasant scent however the next morning I woke up to a bunch of fresh pimples. I didn't want to discard it immediately so I used it again the next day but once again I woke up looking like I had chicken pox. A product has never made me breakout as much as this has and I rarely get pimples. Such a shame. Bought this over a year ago and i can say this is the best product around for my face. I get dry skin but then its a combination of oily as well but this water gel cleanser is amazing. It generally makes my skin soft to the touch after the first use and rids my oily tzone straight away. The smell is divine and you only need to use a tiny bit as it does go a long way. As said i have had this for over a year and still have loads left. 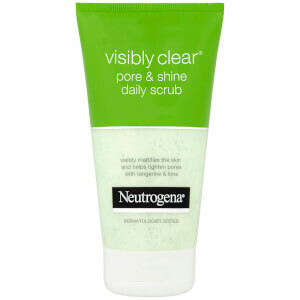 I would not recommend this cleanser for dry skin. It has a refreshing texture,works for the foundation, but I would not use it for the eyes area. Comparing to some other cleanser it is not that efficient. Another minus for the strong smell. Thought with a name like hydra boost this would help me stay youthful looking. Instead I got a rash on my face and neck and the skin became painfully dry. Deep lines suddenly appeared around my eyes and my face aged by years. As soon as I stopped using this product the problems radically reduced. This could be a coincidence, but I wouldnt take the risk of using this again, I have thrown it away. I bought this three days ago and have used it twice....and have had a major allergic reaction to it, sadly. I had high hopes that it would give my dry, stressed skin a boost...instead I look like I'm sunburned. My skin is super tight, itchy as heck and irritated and a bit painful. I'm sure this is a great product for some but me.....I'm going back to Simple. Now I just have to hope that this horrific reaction calms down as quickly as it came up. First off, I have pretty clear skin. I bought this a week ago. About two days in, I got a red bump. Then a few days later I had at least 5-6 red bumps on my face. I won't be using again. I'm not one for face washes normally, but I have to say I am extreamly impressed. Not only does it leave my face feeling clean, fresh & smooth it also has a very nice smell. I have been using it now for 3 months now & theres still plenty left as you only need one or two pumps per wash. I also had a couple of samples of the moisturiser & it definatly works well with the cleanser. I would most definitely recommend giving this a try.